There are good and bad parts to every season, but one of the worst parts of winter is having to shovel snow. Snowfall can lead to hazardous surfaces for both drivers and pedestrians. Just as much as snow plows need to plow the roads, you need to shovel your driveway and sidewalk. The last thing you want is someone slipping and falling on your property and having to contact a personal injury lawyer. 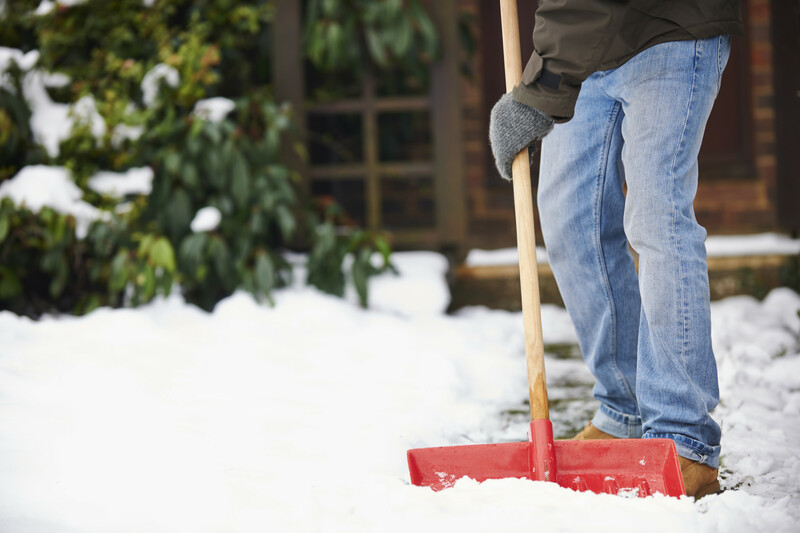 Shoveling your driveway and sidewalks may seem pretty simple, but here are some tips and tricks you can follow to help you get rid of any dangerous and slippery surfaces on your property. Debris such as oil, rocks, twigs and leaves can really damage your property’s pavement when combined with water, snow and ice. They can cause cracks in your driveway which can actually become very dangerous. To avoid this, make sure to regularly sweep your driveway and if necessary, power wash it to get rid of any debris. If you leave snow on your driveway or sidewalks for too long, it can start to freeze and form a thick layer of ice on your pavement. Thick ice like this can be difficult to remove and can cause some serious slip and fall accidents. In order to avoid this, it is smart to shovel snow as soon as possible. If you have a longer driveway or sidewalk, it might be smart to use a snowblower to clear the snow. Snowblowers are very quick and efficient and will ensure a clear driveway and sidewalk. By getting rid of fresh snow as quickly as possible, you lessen the chance of someone slipping and injuring themselves on your property and needing the assistance of a personal injury lawyer. After you clear the snow from your driveway and sidewalk, there still may be some icy spots. As you shovel, watch for these icy spots and clear them as soon as possible. You can remove ice by pouring salt on it which will help it to melt. If you are tempted to pick at the ice, be careful as it can lead to cracking in your pavement. If water seeps into cracked pavement and freezes, it can cause those cracks to expand and get worse — something you want to avoid. If you know you are expecting visitors at your home on a cold snowy day, make sure to follow these tips to avoid someone falling and hurting themselves on your driveway or sidewalk. A personal injury lawyer can hold you liable for a slip and fall accident on your property, so be sure to clear your property of snow and ice as much as possible. If you have been injured due to snow and ice on someone else’s property, call a personal injury lawyer today to set up a claim and get compensation for your injuries.